Our fishworms, also known as the dendrobena. 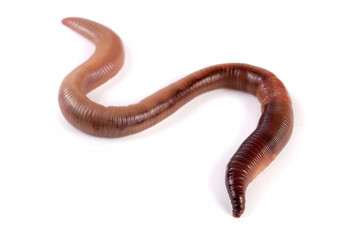 This worm with its beautiful red top and pale bottom is a sturdy, fleshy worm and is ideal for fishing. These worms are fed with special concentrates so that the moisture that is lost during hooking attracts the fish.